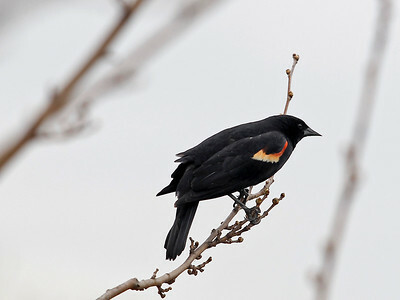 Matthew Apgar - mapgar@shawmedia.com A red-winged blackbird sits perched on a branch across from Normandy Park on Friday, April 24, 2015 in Lake In The Hills. The National Weather Service listed a high of 56 degrees and cloudy with a slight chance of showers. 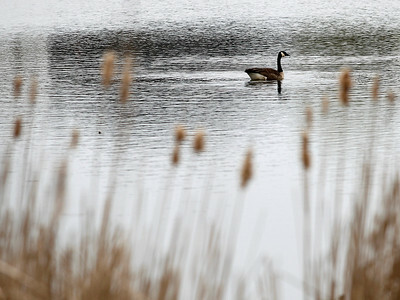 Matthew Apgar - mapgar@shawmedia.com A Canada Goose takes a swim in the water across from Normandy Park on Friday, April 24, 2015 in Lake In The Hills. The National Weather Service listed a high of 56 degrees and cloudy with a slight chance of showers.